This is the first blog I have ever written. I’m usually a private person, but with what has happened in my life, I feel an obligation to share this experience with everyone out there. As you probably know I am, in “space lingo,” at L-9. (Translation: 9 days before Launch :-)). I have been in Quarantine in Baikonur, Kazakhstan, since September 2nd. You can read all about Baikonur at Russian Space Web and Wikipedia. I am sending a few pictures to give you a sense of where I am. This is the same place where the first person in space, Yuri Gagarin, launched from 45 years ago. Also the same place that the first female in space, Valentina Tereshkova, launched from in 1963. Since those early days of spaceflight, there has been a tradition that the cosmonauts plant a tree upon their return. I hope to plant one when I return. I have included some pictures of Gagarin and Tereshkova’s trees. 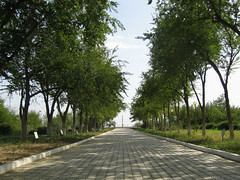 There are many trees alongside a long walkway that takes you to a view of the vast desert land of Baikonur. One thing you can say about Russian space launches, there are many traditions and ceremonies. The closer you get to the launch day, the more ceremonies there are. I’m learning about them as I go. These traditions and ceremonies are what make these days very special and memorable. Pictures of our “Fit Check,” when we suited up and went into our capsule to make sure we “Fit” :-), and also of us raising the flags outside our “Cosmonaut Hotel,” are posted on my website as well as the NASA Expedition 14 website. A long, long time ago, in a country far, far away… there was a young girl who had her eyes fixed on the twinkling stars of the night skies over Tehran. Back then the air was not so polluted and you could see many stars in the night skies. Summer time, when they would set up the beds outside on the balcony to sleep, she would lay in her bed and look deep into the mysterious darkness of the universe and think to herself, What’s out there? Is someone out there awake in her bed, and gazing at her in the night sky? Will she ever find her… See her… Will she fly out there and float in the wonderful, boundless freedom of space? I was born in Iran and lived there until age 16, then migrated with my family to the U.S. and got an education in Electrical Engineering, and basically was fortunate to live the American Dream. Don’t get me wrong, the Road to Baikonur was not an easy one and had many ups and downs and obstacles. But what is important is that I stuck to my dream and did not lose my way. I hope that my trip becomes an inspiration for all of you to follow your dreams, wherever they take you. I also hope to show you the universe/space through my eyes and help you see how important space exploration is for our species. We need young imaginative minds to gaze at the skies to help us build a future that will not be earthbound. As a boy growing up in Hungary I had similar dreams to yours. I am now an aerospace engineer working in the US, and I still have a dream of flying in space, and I know one day I will be there. For now I am happy for you on the verge of realising your dream. Ad astra ! Thank you for taking the time to write a blog about your experiences. It is a rare thing indeed for an astronaut to post his or her feelings about the adventure that lies ahead. I look forward to living vicariously through you as you journey into space, as it has always been something I’ve wanted to do. I suspect that your experiences will specifically contribute to the emotional, or visceral, apsect of spaceflight. That is the part that seems lacking in terms of the human-space connection. It is especially important to cultivate this connection if any progress is to be made in terms of interplanetary migration. Best wishes to you on your exciting adventure. I envy you greatly. I’m glad to see you’re writing a blog about this fantastic experience. Poyekhali! Go Anousheh! Know that many here are proud for you and waiting with great anticipation news from space. I hope your flight and stay aboard the ISS is everything you imagine it will be, and more. the original back-up crew photo with Yuri Malenchenko, Peggy Whitson and you…2 women with man in one photo! I’ve been following your story and reporting it for the UK published magazine ‘Spaceflight’ since March. You are going to be on the cover of the November issue and I will be writing a detailed report of your flight for the news pages, so I’ll be following the blog very closely over the next few weeks. I think I was nearly as excited as you must have been when poor Dice-K was grounded. It must have been a really exhilarating and unbelievable three weeks, to go from the relative obscurity of the back-up role, to see your dream coming true so quickly. Very best wishes for a safe and memorable flight. PS – I’d like to see the original back-up crew photo too !! It’s very nice that you starting to write in your weblog. Thank you very much indeed for your time and money that are spent to develope Space Science. It’s realy interesting to read daily from an astronaut. My team’s and mine (Spacescience.ir) best wishes for a safe flight for you. I know all Iranian proud of you because of your brave heart and kind support of space science. I have so much admiration for what you are about to do, and I hope and pray you have a successful flight. I know you are going to live your lifetime dream but to most people going into space is still regarded as something very risky. I cannot imagine how I would feel in your shoes right now, knowing that in a very few days I’m going to be lying in that tiny capsule on top of the Soyuz rocket waiting for the power and danger of the launch. Can you share with us exactly how it feels, contemplating next Monday? I know you’ve said you’re really excited, but aren’t you a bit nervous or apprehensive too? Thank you for sharing the experience through the blog. I’ll be checking back daily. as I see the pictures of Baykonur, I remember my stays there inside of last year during the flight in April and in October. It’s a great place there at Baykonur, but also a very strange place – but if I’m there, I feel like at home. I follow your ways to space since weeks for know, and I will say: Have a nice and a very safe trip. You can be defenitely a glad woman, and we press our thumbs and give you godspeed. If you meet a man, his name is Igor Rudyaev (from the GCTC), please give him also the best wishes from his good friend in Germany, who will come back as soon as possible to Russia. Thank you for keeping a public blog to share your experiences with us — all of us around the world who have never met you, or each other, but who all share the dream of going to the stars. My best wishes go with you. Your enthusiasm for space is admirable. As a Pilot, I can appreciate the training process and the hard work and dedication that it takes. You are one of the few in the World and I wish the Lord’s utmost blessing upon you and your family. Look forward to your return, experience and discovery on your Website. Take care and we are proud of you for who you are and what you bring to our society. Wish U the very best in your mission. A great boost for women power! When You want,God help you. I Have an Iranian blog and I will happy if visit you in my blog. As an Iranian living in USA, we are very happy and full of joy for all of your achievements and reaching to one of your dreams. You are the best mentor and role model for our youg generation. Good luck for the launch!!!! You and your family have done so much for the space program and for the future development of humanity. You deserve your trip. It will be the most humbling experience. I hope your efforts will encourage others to realise it is better to look up to the stars and realise our little problems down here are nothing compared to the grand scheme of things. I am very jealous and am saving up for my ticket. If you could spare 20 million bucks, you have my email address…. Safe journey and watch out for that bumpy re-entry. 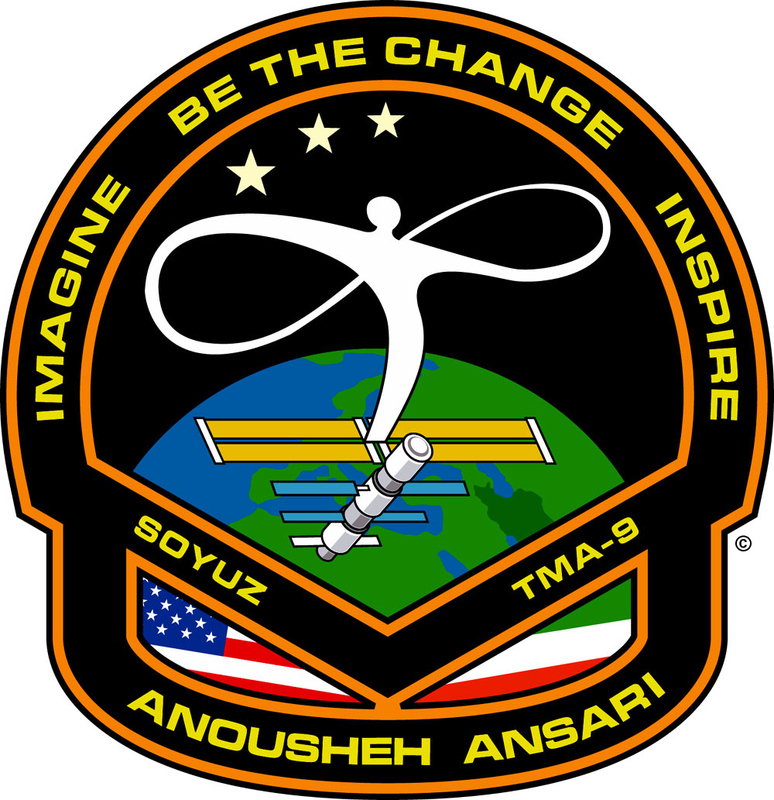 Dear Anousheh, I would just like to say I am a great admirer of what you have already done for the opening up of space. It is important technically, but perhaps even more so, the juxtaposition of the US and Iranian flags may send a powerful message of HUMAN cooperation in space. Respective Presidents take note. I would also like to see other prominent individuals hop on board. Imagine what Bill Gates could do? Have a good trip. Anyway just I thought of what I would be thinking about if I were there…Good Luck and best wishes. I congratulate you on demonstrating the wonder of over coming obstacles to achieve your goals. This exciting adventure will do more to bring unity to the people of the world than any other action of the politicians, religious leaders or fanatics. People from all over the world will share in your exciting adventure, even those who would not join together for another cause. Good for you and all the best. Thank you for including us by creating a blog. Best wishes for a successful and exciting flight. As Piccard would say: “make it so”. Congratulations and Good Luck for your forthcoming flight. I echo Phil Smith’s comments and am most grateful to you for sharing your experiences with us. You have already been on an incredible journey it would seem and are soon to embark on another. I sincerely hope that you will fulfill this dream and many others and thank you for the inspiration that you are providing to so people in so many ways. Seriously tho, leaving aside the obvious and very welcome political relevence of your flight, as someone who is involved in space and science Outreach education here in the UK, and who is on an (unspoken and unofficial!) personal crusade to encourage more girls to follow careers in science and astronomy, I am thrilled by your mission and your support of space exploration in general. Our future is Out There, without a doubt, and many, many people will be inspired by your flight, I am sure. Godspeed Anousheh, have a fun time up there, and come back to us safely. You are good for go! Have a ball – wish I could share your eyes for the trip. Can I ask whether you’re going to take makeup with you? I mean, how important will it be to you to look good while you’re up in space? Nice blog and very exciting read, Best of luck and have a nice Flight!